Brasov is a famous beautiful city in the middle of the country located at 176 km north of Bucharest. 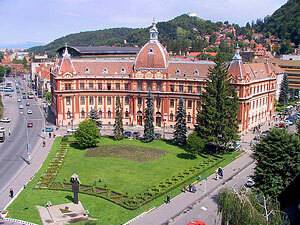 Center of Transilvania University, (Address: 41 A Iuliu Maniu Street, Brasov). The city of Brasov is located in the centre of Romania, about 180 km north of Bucharest. It takes about 3 hours drive from Bucharest International Airport to Brasov. Intercity trains and European roads are connecting Brasov to the major cities in Romania and Europe. a) Firstly by bus EXPRES 783 (the station is in front of the arrivals terminal) till Piata Victoriei station. Then by tube from Piata Victoriei to Bucuresti Nord railway station (Gara de Nord, first stop). 2) By train from BUCHAREST to BRASOV. Train schedules can be checked, e.g. 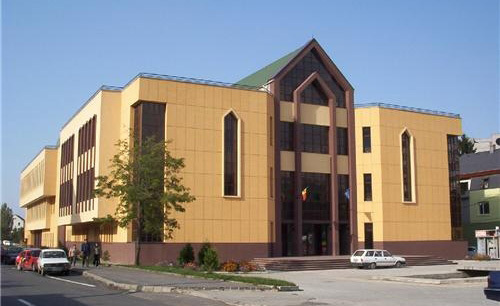 from the Romanian Railway Company C.F.R ( http://www.cfr.ro ) : Please fill in From: Bucuresti, To: BRASOV and press Find. Then select From: Bucuresti Nord and press Search).